After 1923 the Daum glass blown in the ironwork by Majorelle became very popular. 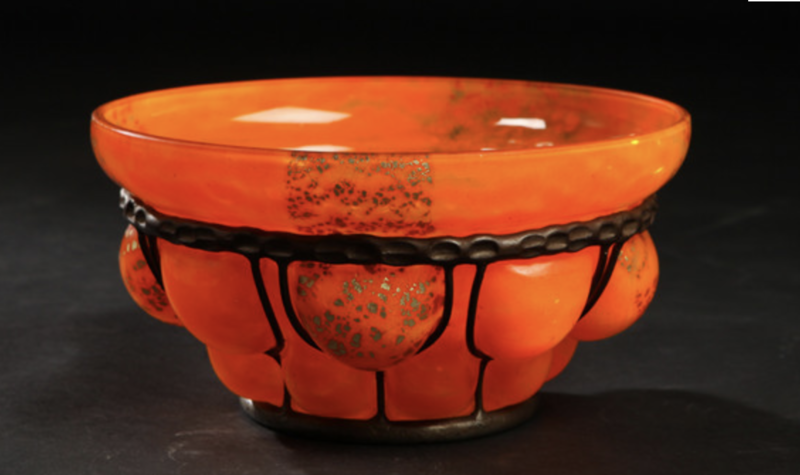 It is indeed a lovely combination, the black sturdy iron with the fragile orange glass. It has a beautiful contrast and the light is highlighted by the shattered gold leaves between the glass layers. This coupe will draw the attention in any room as it is so exquisite.